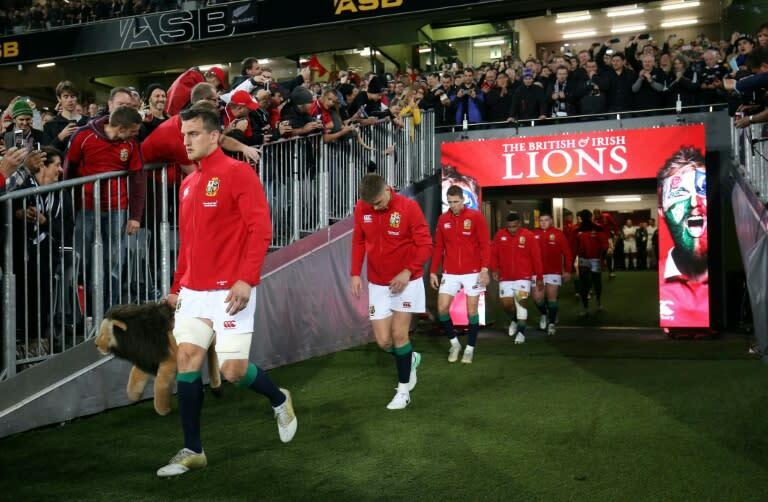 The British and Irish Lions appeared to be the biggest losers following Tuesday's announcement of a revamped English domestic season which confirmed the combined side face a shortened trip to South Africa in 2021. That tour has been reduced to five weeks from six and eight matches from 10, as was originally agreed at a World Rugby meeting in San Francisco last year. But Tuesday also saw English officials insist players in its domestic Premiership would not be given additional time to train with the Lions. Last year the Lions, a team made up of the cream of English, Scottish, Irish and Welsh rugby union, defied many pundits by sharing a three-match series with world champions New Zealand 1-1, the third Test ending in a dramatic 15-15 draw. Afterwards Lions coach Warren Gatland, a native New Zealander on secondment from his position as Wales boss, was adamant the team needed more time to prepare, having arrived just a few days before their opening tour match. But whereas a 3-0 thrashing by the All Blacks might have sparked a rethink, the Lions may have become victims of their own success. In 2021, the Premiership final will take place on June 26, with the Lions playing their first tour match a week later. The Pro14 -- the domestic tournament for leading Scottish, Irish and Welsh clubs -- are willing to move their season to give the Lions breathing space and England players could be at a disadvantage when it comes to selection for the combined side. Tuesday's announcement came against a backdrop of plans to create a unified global season that also takes accounts of player welfare fears, with combatting concussion-related injuries in an often brutal sport now a major concern. In England, the situation has been further complicated by the fact players are contracted by their clubs rather than, as happens in New Zealand and Ireland, their national unions. However, England's governing Rugby Football Union, Premiership Rugby and the Rugby Players' Association all stressed at a Twickenham briefing on Tuesday that designated rest periods would mean no individual would play 11 months of the year -- a thought that had led some players to contemplate strike action when plans to extend the season were first announced. "There was a huge amount of uproar from players who never speak about these things," said RPA chief executive Damian Hopley. "Still there are questions, but I think –- around the principles that we have agreed –- there is consensus." Playing for the Lions in one of their series against New Zealand, South Africa and Australia every four years has long been regarded as the pinnacle for any British or Irish rugby player. The team's origins date back to rugby union's early years as an amateur sport in the 19th Century, when the 'Home Nations' did not tour individually. But post-season tours by European countries in June and similar trips by southern hemisphere teams in November have become a staple of the professional era as national governing bodies look to fill their coffers. While Lions tours continue to be money-spinners for their hosts, English club owners have long complained of players returning injured and exhausted. Meanwhile the new structure, which will see English rugby union competing for audiences in June alongside traditional summer sports such as cricket, also threatens to scupper plans for a World League of more meaningful Tests put forward by World Rugby vice-chairman Agustin Pichot. "The Six Nations (Europe's annual showpiece international tournament) is fantastic," said RFU professional rugby director Nigel Melville. "People have talked for a long time about the July and November window being a bit different but nothing has really come of it. "It doesn't surprise me to look at those," the former England captain added. "Commercially is (Argentina great Pichot's plan) better? Potentially. Does it impact on players? Potentially. "So you've got to balance all those things up."